Deconstruction, oil on canvas, 2015. 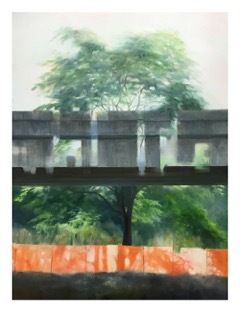 Based loosely on nature, this exhibit includes new work in my Arboretum series. 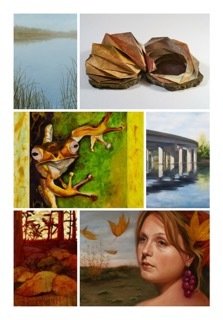 Also featured are incredible local artists Suze Woolf, Elana Winsberg, Aron Hart, Patty Haller, and Christine Gedye. This entry was posted on Thursday, October 8th, 2015 at 12:47 pm	and is filed under art. You can follow any responses to this entry through the RSS 2.0 feed. Both comments and pings are currently closed.